Remember the various political entities demanding something-in-the-area of $15.00 per hour, as a minimum wage? The U.S. House will be in session for only eight days during a 102-day span between August 1 and November 12, which means that based on their $174,000 annual salary, lawmakers will earn $608 an hour during those days in the nation’s capital. The House took a five-week vacation from Washington on August 1 and returned on September 8. After two four-day workweeks, members left Washington again on September 18 and are not due to return until November 12 for a lame-duck session following the midterm elections. Their hourly wage for the eight days is several times the hourly compensation of anesthesiologists, one of the country’s highest-paid professions at an average of $113 an hour, The Hill reported. The Senate took the same break in August and also worked just two weeks in September before leaving to campaign for the elections. Legislators and their aides argue that time spent in Washington constitutes only part of their job, and they also spend considerable time meeting with and serving constituents in their home districts and states, The Hill noted. Even when they are in Washington, lawmakers devote much time to non-legislative matters. After the 2012 elections, new members of Congress were reportedly advised to set aside four hours a day for fundraising phone calls during their 10-hour workday. The last time Congress’ approval rating was over 50 percent in a Gallup poll was in April 2003, at 58 percent, during President George W. Bush’s first term. The approval rating stood at 84 percent in October 2001, immediately following the 9/11 attacks. Now, I’m not normally one to agree with Mr. Nader on anything, but, most congresscritters actually work part-time, and spend the rest of the time traveling to-and-from their constituencies or running for reelection. Free Thinker commented on a recent article on ‘the oppressed’, particularly women, and their reactions to it. Perhaps Sanchez asks the wrong question. After decades of being told by the National Organization for Women and their fellow travelers that women are strong and intelligent individuals, worthy of respect and not needing the oppressive protection of men – just perhaps “Where are our men?” is the wrong question. We’ve been told to go away. Repeatedly. That our services as protectors were neither required nor desired. Is it any surprise that an awful lot of men went? Gender politics has always amazed and confounded me. Obviously, women should have choices, not just accept conscription into wife/mother/caregiver/crone evolutionary status. Unless they choose that path. I AM a product of my generation. A baby-boomer generation guy, raised in the 50’s/60’s. With largely traditional American values. Duty. Honor. Country. Stand when a women enters a room; hats are removed indoors; open doors for women and children; say “Yes ma’m and No sir – Please and Thank You”. And treat women and girls with respect due their gender, as the potential carriers of life and less physically strong. Sadly, Feminism has taken the same path as the Democratic Party. In an effort to conscript more converts (more money for the cause) they have been compromised by the Progressive movement. Feminists have become collectivists, thus eliminating part of their platform. Women are strong – but guns are bad! If they win all the elections or cure cancer, they lose their power! What DID You Accomplish, As Secretary-Of-State, Ms. Clinton? Can anyone figure out what in the hell she just said? And she may be running for President? Reminds me of a TV commercial of some years back, wherein the politician on-screen says, “And furthermore, in conclusion…” as if he is being paid by the word! I’m thinking she needs a teleprompter, not unlike another politician who dare not open his mouth without nearby speechwriters. The World Has OFFICIALLY Turned Upside Down! The beginning of an opinion offered in (wait for it)… TIME MAGAZINE! It’s a terrible time to say this, right after a 9-year-old girl killed her instructor with an Uzi, but shooting guns can be great for kids. I know it’s a parallel universe, or the bizarro world when a liberal spew sheet such as Time actually allows such a radical op-ed in it’s pages. Of course, I suspect the following letters-to-the-editor were scathing indictments of an America, crime laden with youngsters poisoned by such criminal tutelage. 2) I don’t care about the opinions of those who seek to deny the law-abiding their rights – unless, of course, they are in power! REGARDLESS – what a turn of events! New Jovian Thunderbolt passes along an allegory on one Constitutional Issue versus another. That is Voter’s Rights versus Gun Rights! Both Constitutional and of equal status, right? Wrong! Stop saying that Washington DC now allows conceal carry. People posted that all over. It’s May Issue. And like most May Issue states it means “nobody without the juice.” It’s not allowing CCW. 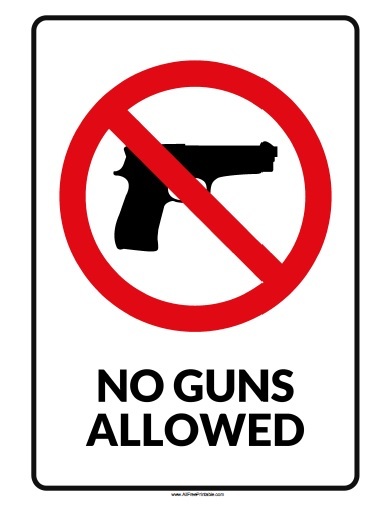 Saying DC allows conceal carry is like saying a black man in Alabama in 1885 had the right to vote. Look at the 15th Amendment! It says so! Highest law of the land says a black man can vote. But that’s not the reality on the ground back then, is it? No, Gun Crow laws are still in effect in DC, Maryland, New Jersey, New York… others. How would you feel if Oregon, Washington, California, and Nevada, assuming you don’t live there, were just ignoring the 19th Amendment and didn’t let women vote? Maybe let them pretend they are voting at the polls, but then just not counting those female votes? Would you feel a little less free in North Carolina or Maine, or Wisconsin? Doesn’t really impact women near you, so… What’s the big diff? Just tell women in California to move someplace better. Right? How does that make you feel? It’s not like it’s in another country. It’s still YOUR country out west, there. If you join the military you are fight for those hypothetical and blatant disenfranchising states, too. Another (how many in the Administration?) to go! 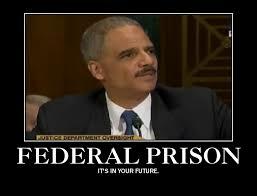 Attorney General Eric Holder will announce later today his plans to step down, FoxNews.com has confirmed. One hopes he steps down into a courtroom preparatory to his trial, but I doubt it! ‘Sovereign Citizen’ Terrorist Group May Be Growing in U.S.
American law enforcement officials view sovereign citizens as the No. 1 potential terrorist threat in the United States, according to a 2014 study. No. I really can’t. I’ve hung with these guys and I can’t tell you what it’s about. It’s sort of a cargo cult law-as-ritual thing where if you add this particular incantation to a legal document any judge in the land is forced to throw up his hands, exclaim “Curses, foiled again” and let you off to do as you will, and everybody knows about this one guy who did that and it worked. Somewhere. Fringes on flags in courtrooms have something to do with it. People have sat me down and tried very earnestly to explain it, but I’m hopeless as a lawyer. Or a whacko. Certainly there are enemies of the Constitutional Republic. Both foreign AND domestic. Remember the Sons of the Gestapo, who pulled off the train derailment of The Sunset Limited in Arizona a few years back? More like the Sons of the Pioneers! Or perhaps the result of an agent provocateur in place, stirring up the faux-militia crowd. You know, a community-organizer sent by government to enrage the weak-minded of the patriot crowd. Remember your Criminal Law – When the idea of the criminal act originates with law enforcement, it becomes entrapment! We DO have enemies – both foreign and domestic, including those who would foment crimes to solve them to make their stats look good! These government agents, too, are enemies of the Republic. While there ARE illegal aliens, undocumented workers, freedom-seeking wretched refuse who do enter this nation illegally searching for their American Dream, most are honest, hard-working folk. Just like the folks who obeyed the law rules did it the right way. Legally. Right? How can we tell – who is here with good intent, and who is a scofflaw smuggler cartel member just trying to have a better life escape? Colorado (God Bless ‘Em) recently enabled such folks to obtain legal State-Issued driver licenses! Just-in-case they were tempted to do something heinous, the documents were marked with a black band, lest they try to use their new ID to board aircraft, vote, or or enter a federal building unnoticed. Of course The State (in their infinite wisdom) promptly posted regular Driver Licenses to about 524 applicants with the regular markings – sans the black identifying mark! To amend their error, Colorado immediately requested such folks return them – even offering a bribe gift card as incentive! What percentage did their civic duty and exchanged their erroneous ID for legitimate ones? I see this as a good approximation meter to measure the goodliness of those who have already broken the law to get here. Who knows what else they will do? While writing about the NYT tale of how “Assault Weapon” is a term made to scare white folks, Surber refuses to hold the tough questions back. Instead of going after the gangs, Urban Democrats go after the law-abiding citizenry, unconstitutionally banning handguns and the like until the Supreme Court’s Heller decision reversed that. In politics, unintended consequences are rare. By going after the weapons white suburbanites and rural people enjoy, Democrats obfuscate the real issue: Black young men killing black young men for profit in cities controlled by Democrats. Don Surber – Do Democrats Care About Dead Black Men? The answer is: Only if will help them get votes. (Guffaw says) To be fair, every time this game has been played in a major metropolitan area in The United States (over the past 70 years) it hasn’t always been Democrats. But it’s always been Progressives of some ilk. And how have such policies worked in places like Chicago, New York and Los Angeles? I’m not even expanding to discussing economies in such places as Detroit. And Here We Thought (or were told) The Cold War Was Over! In a continued display of intimidation reminiscent of the Cold War, Russia continues on the march as reported by U.S. Northern Command, which identified six Russian planes flying near Alaskan air space Wednesday. The Command reported that among the Russian planes were two nuclear aircraft — two Bear H nuclear bombers along with two Mig-31 fighter jets. American F-22 fighter jets were deployed to intercept the Russian aircraft. One day later, on Thursday, the Russians sent two more Bear H nuclear bombers to the region. These bombers were intercepted by Canadian jets. I was a friend (and for a while, an underling) of a former Marine who was posted aboard the Glomar (something-something – a spy ship) in the Pacific, during the 70’s – The Cold War. I remember him telling me tales of NORAD alerts. The PRC had a regular practice of buzzing our frontiers (i.e. just outside the 12 mile limit) with airplanes of various types. Just to be annoying, and (not unlike the velociraptors of Jurassic Park fame) testing the ‘fences’! And of course, made our children dangerous toys with which to play, and our pets poisonous pet food, and have continued to attack our electronic infrastructure. All while being our friend! Now, I don’t want such friends – I don’t know about you? They used to be our sworn enemies, and us theirs. How much is this costing us – to keep watching their efforts to breach our security and hurt us? Who moved? Sounds as if THEY never did!